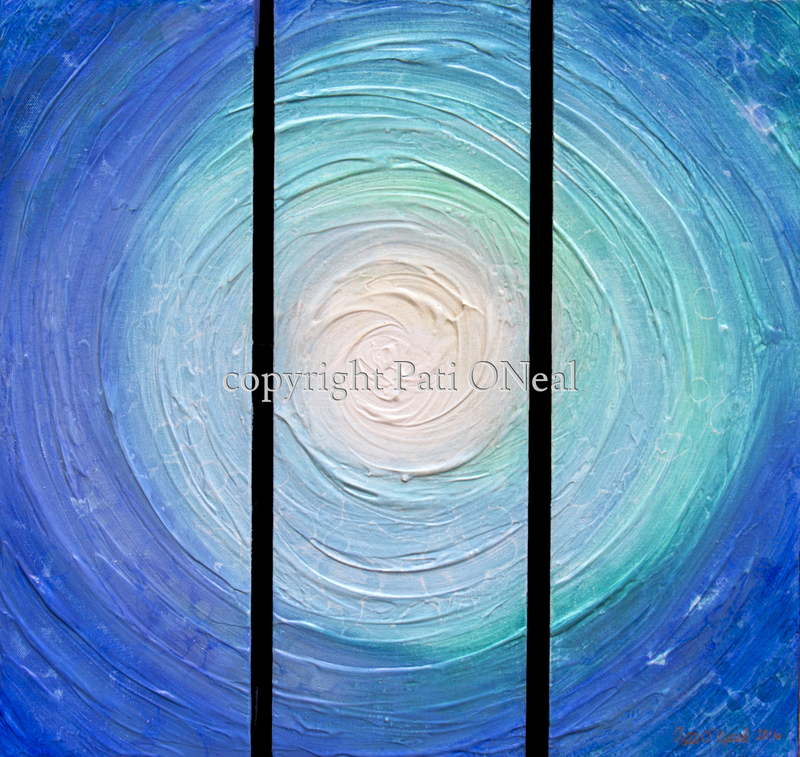 This textured acrylic triptych on three attached canvases was created to capture the concept of light through a swirl of water. The original is currently available at Island Treasures Gallery in Kailua, Oahu. For a similar commission, contact the artist.